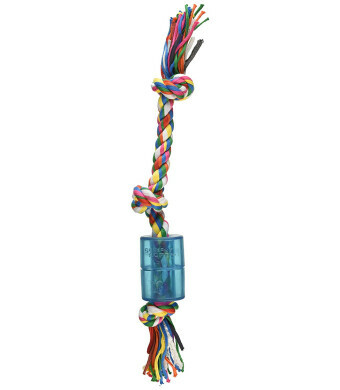 Medium 14" Cloth Rope 3 Knot Tug with Squeaky TPR Material. Mammoth Flossy Chew Cloth Rope Toys are made from premium cloth materials in a fun shapes dogs love. The cloth materials floss dogs' teeth as they chew and play. The added TPR Squeaker is excellent for chewing and driving dogs wild!. Great for tossing and chewing. Perfect for medium sized breeds. Great for strong chewers. Play time is an important part of bonding between dog and owner. 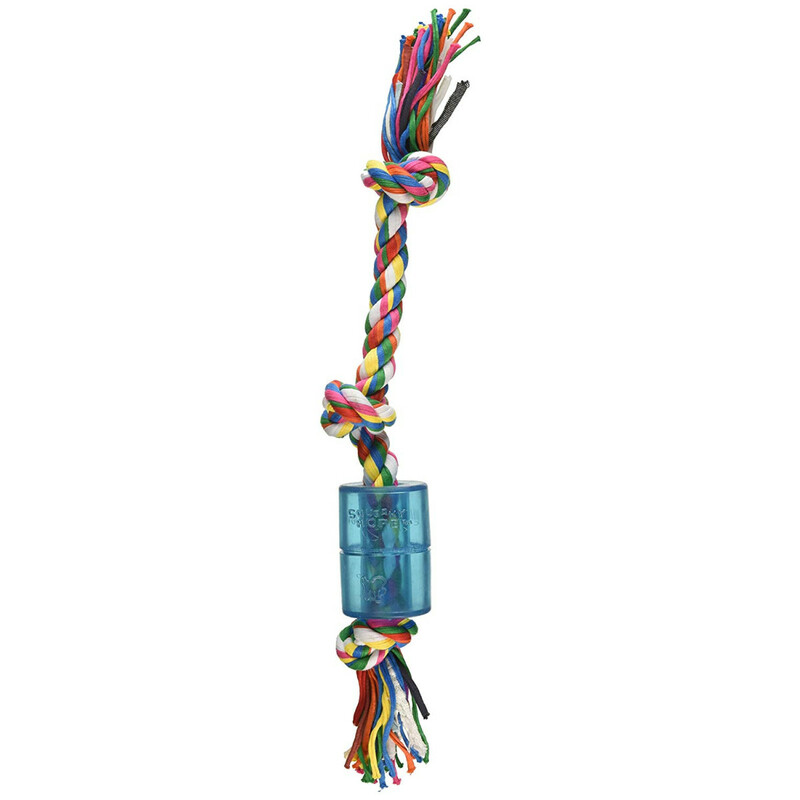 This toy is perfect for interactive playing and creating the positive play experience with your dog!.